Dubai—and the United Arab Emirates as a whole—is a locale that almost requires visitors to have a high-end, Instagram-worthy experience. It’s a place to take dope pictures and indulge in the finest luxuries. While this isn’t my typical MO for traveling, I have to admit, the Dubai and UAE experience sweeps you up, begging you to and stunt for the ‘Gram. But it’s okay, because, well…Dubai. 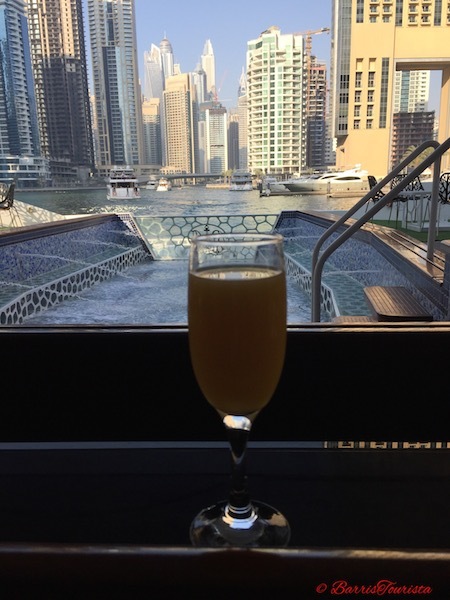 After living it up for a few days, I present you with a guide for how to do Dubai like a boss. 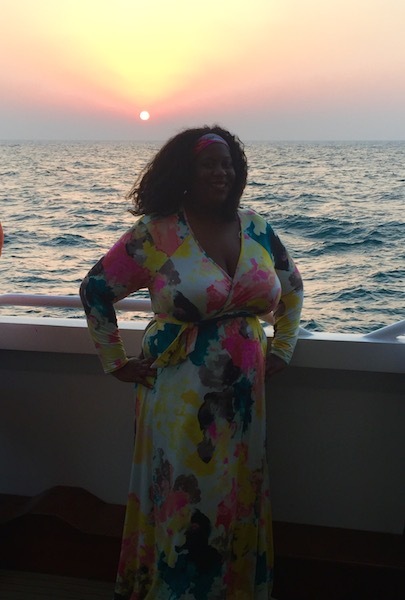 My trip to Dubai wasn’t a solo one. I went with 499 of my closest friends. The first tip to doing Dubai big is just that. Do it big. 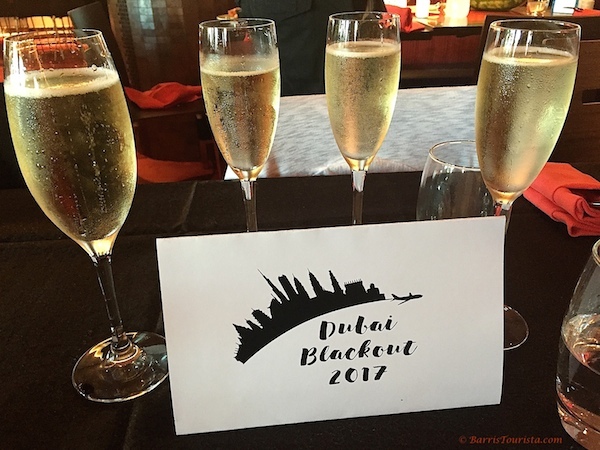 For me, that was going on the Dubai BlackOut trip, hosted by Kenna Williams. 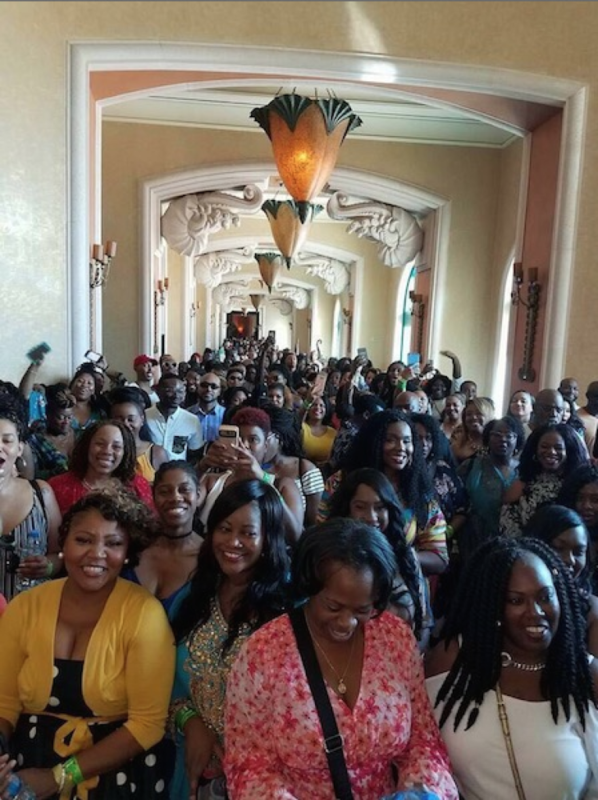 This year, it was 500+ people, mostly African American, descending on the UAE from all over the world. For some it was their first trip abroad; for some it was a repeat trip to Dubai. 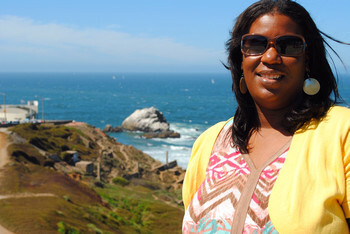 For everyone, it was a blast and our arrival even was preceded by local news coverage. Boss moves. 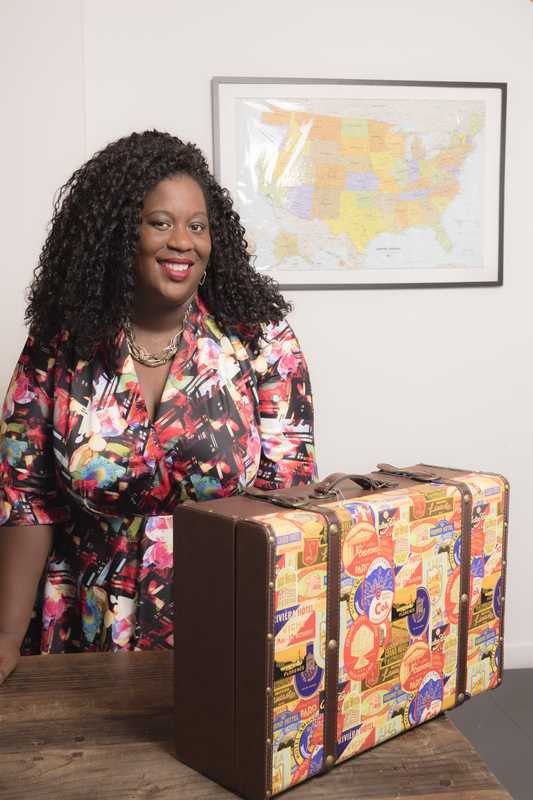 Need dope travel swag like passport holders and luggage tags? Check out our shop! But when you hop on said yacht, make sure it’s the Lotus, the biggest private yacht in the Emirates. Our yacht party featured a multi-course feast, live DJs, flowing liquor, and plenty of ocean views. As soon as we stepped on the Lotus we were greeted with cool washcloths and mimosas. Perfection. As we pulled away from the dock, we had marvelous views of the city, music, and the open bar began pouring. 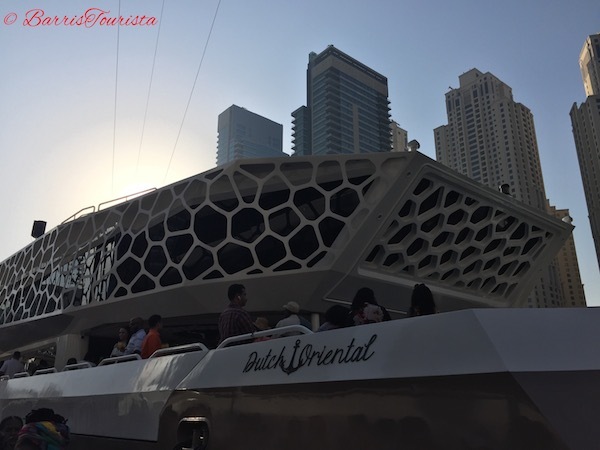 The multi-deck yacht was perfect for dancing, feasting, and taking in a perfect sunset over the Arabian Sea. If you’re going to have a yacht party, this is how you do it. The drinks kept coming at Saffron brunch at the Atlantis. 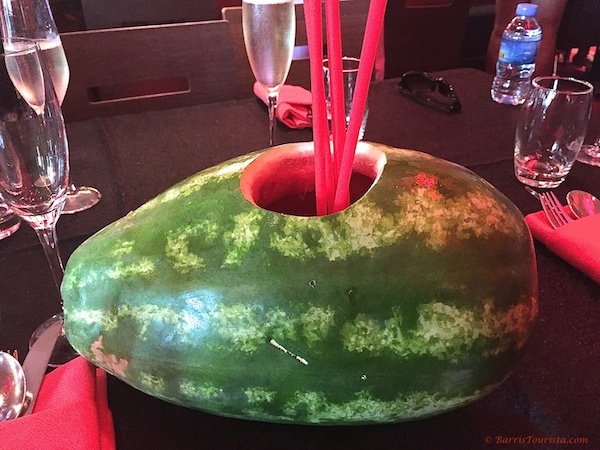 From whole watermelons filled with vodka and Redbull to rum punch to shots, this brunch flies in the face of the typical dry restaurants in the Emirates. The food maze at Saffron is endless. They have everything from seafood to sushi to American fare to meat carving stations. 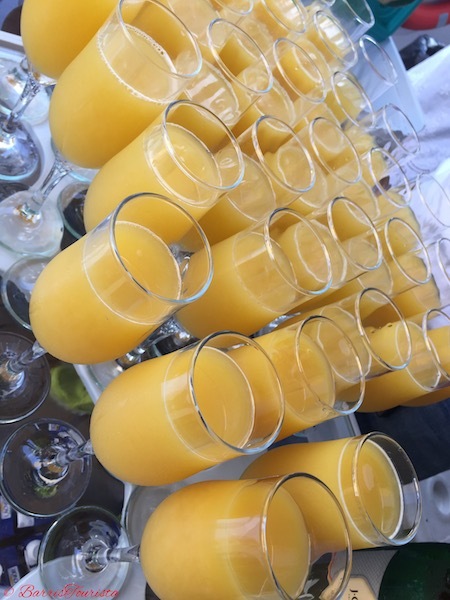 They have food for days, which is pretty tasty, but the key to this brunch is the flowing liquor and the hoppin dance floor. It’s not too oftent hat you get a brunch, even in these United States, where all of the liquor is flowing and bottomless. But then you can sweat it out and dance it off on the dance floor in a full-fledged party. When Jeff spins in your area, you come. And when Jeff spins at a beach party in Dubai, you definitely make an appearance. So off to the beach for a post midnight music jam with DJ Jazzy Jeff was the perfect way to end an evening. 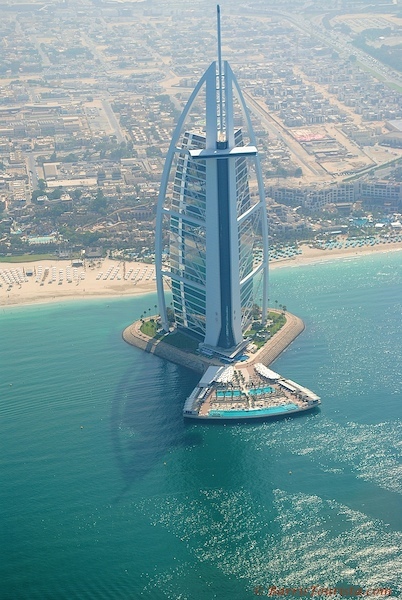 There is not much that is more boss than taking in Dubai by air. Even though the ride isn’t long, the views are amazing and definitely an indulgent experience. 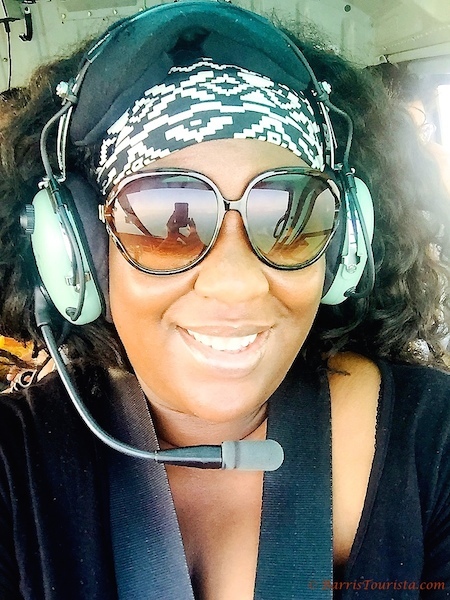 I wrote a whole review of my flight, courtesy of HeliDubai and it is definitely something I would do again! And if you decide to go, tell them BarrisTourista sent you! Nothing says stunting in Dubai like a day party. On the patio at N’Dulge, located at Atlantis, has cabanas to rent, an outdoor bar, and an indoor area for your to relax, unwind, and have a cocktail or several. De La Mer Spa is actually one of, if not the best, spa I have ever experienced in my life. And I have been to a lot of spas. The area is absolutely beautiful, lux, and super relaxing. 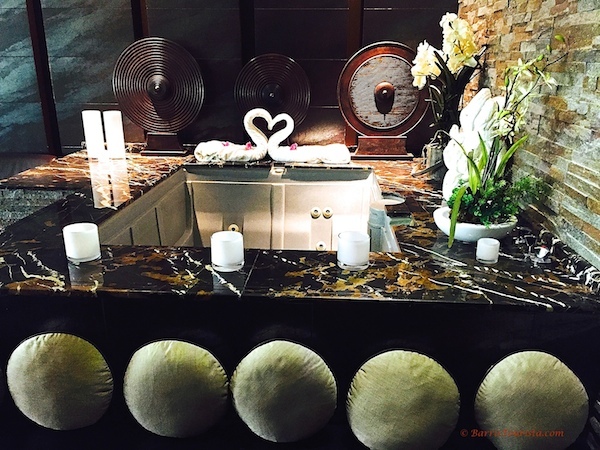 It is a women-only spa, and you feel comfortable as soon as you walk in. 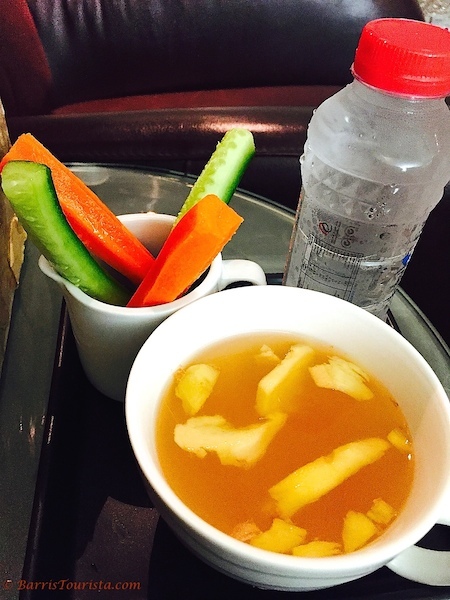 They serve ginger tea, water, and carrots and cucumber and make sure you are super relaxed. But the services take it to the next level. I had never experienced a traditional hammam, and let’s just say if you plan to be modest, this isn’t for you. They literally scrub every ounce of dead skin from your body. Every. Ounce. And then, of course, the massage is top notch as well. The treatment was different from anything I have ever experienced, I walked away feeling like the smoothest I had ever felt. This is grade A, top notch spa time and I only wished I had more time to get a longer treatment. Dope people sand dune and have desert safaris with feasts. 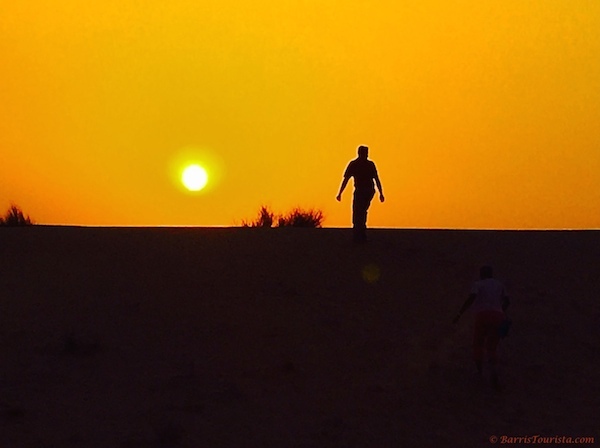 We careened over the sand dunes for dune bashing, then finished the desert safari evening with an outdoor feast. 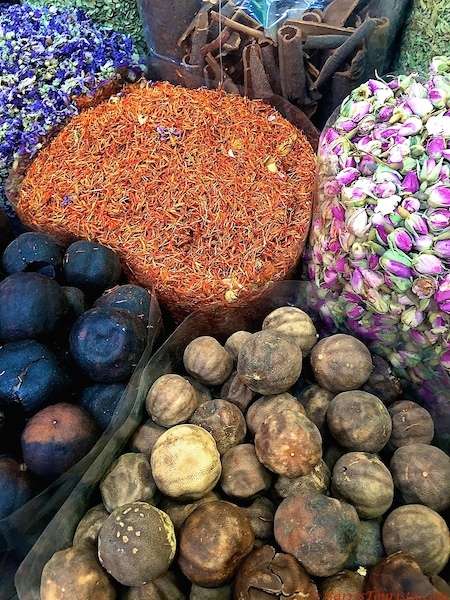 What fun is going to Dubai if you aren’t going to come home with all of the herbs and spices. So we hit up a couple of local souks. I bought spices. Souvenirs. Beautiful caftans to rock. I even got my abaya that I wore to the Grand Mosque in Abu Dhabi at the local souks. You walk away with some amazing goods, and bargaining is encouraged. When you go to Dubai, you’ve got to be extra. So that’s what I did. 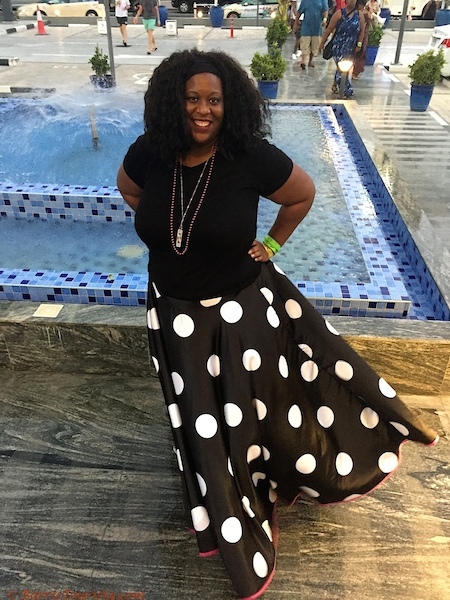 Long, flowy skirts. Twirling. Leading conga lines flailing my skirt like a flamenco dancer. Yeah. That was me in Dubai. I had to twirl, and I’m glad I did. So there you have it. 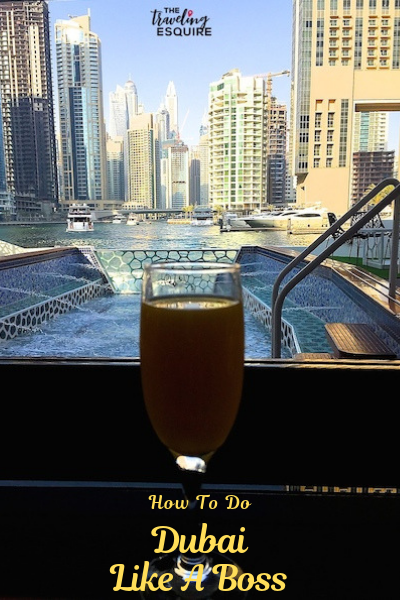 There’s your guide on how to do Dubai like a boss. It’s definitely a place that requires that you to be as extra as possible. Dubai is like Vegas on steroids; plan your trip accordingly.